EVOLVE issues a statement on LAX being pulled and won't book talent contracted to Impact Wrestling, a huge weekend of MMA events, Ronda Rousey wrestling on Raw & WWE stock continues to climb. **Today on the POST Wrestling Café we have our monthly ASK-A-WAI show with Wai Ting and I answering 40 questions covering a wide range of topics. Each month, you can post questions on the POST Wrestling Forum and then we answer them all at the end of the month. **This week’s edition of the Café Hangout is available on POST Wrestling’s YouTube channel. On this week’s show, we run through all the news from the past few days and welcome Jan Murphy to the show at the 15:00 mark. Jan chatted with us about Saturday’s Chinlock Wrestling charity show in Kingston, Ontario that features Tyson Kidd, Vickie Guerrero, Tito Santana, Jimmy Korderas, Tyson Dux and some surprises scheduled for the show. We also spoke to Jan about his excellent feature on Tyson Kidd (TJ Wilson) that he released this week. **On Saturday, Chris Charlton will have the latest edition of the EGGSHELLS Podcast Companion covering Wrestle Kingdom 6 from 2012 with Sean Radican from PW Torch. **Following positive analysis from several outlets, the WWE stock has shown a bounce upward following a steep decline since the beginning of October. Last Friday, the stock was trading at $62.60 and closed today at $73.96 representing an 18% increase in one week. The optimism seems to be focused on the upcoming television deals the WWE plans to announce for the UK and India. Initially estimates from the company were for the UK deal to be announced before the end of 2018 and India deal in the first quarter of 2019. We are sorry to inform you that Impact Wrestling has pulled LAX off the upcoming EVOLVE dates. EVOLVE officials were contacted by LAX and informed that they were needed for something else that weekend. No other explanation was given. Impact Wrestling didn’t contact EVOLVE officials and left it up to LAX. There is no heat on LAX as WWN understands the situation they were put in. EVOLVE officials had told LAX that the plan was to have matches with EVOLVE Tag Team Champions The Street Profits of Montez Ford & Angelo Dawkins that weekend. EVOLVE was informed that LAX would not be able to lose in those matches. In order to avoid any political issues, EVOLVE made one night a triple threat match and the other night a six man tag. This would give the fans the LAX vs. Street Profits matches they wanted, while protecting all parties politically. Unfortunately, Impact Wrestling waited until the matches were announced and then pulled the talent the next day. This all could have easily been avoided by not allowing LAX to take the dates in the first place. 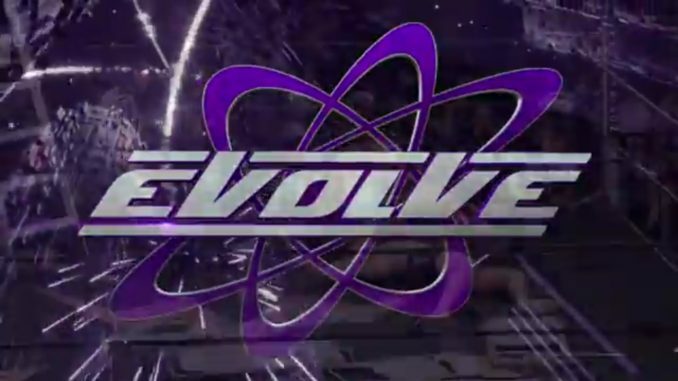 EVOLVE will no longer consider booking Impact Wrestling contracted talent moving forward. EVOLVE officials are currently working on a replacement and will have news early next week. We apologize for the lineup change, but assure you that EVOLVE will produce something special on for EVOLVE 117 December 15th in Queens, NY and EVOLVE 118 on December 16th in Deer Park, NY. Thank you for your support. We have reached out to Impact Wrestling for a response and will update if they choose to respond. It would’ve definitely been cool, especially for the fans. But wrestling has proven to us once again that there’s still much more work that needs to be done, in order for all of us to truly enjoy the endless possibilities. **The Raw crew has a show at Arena Ciudad in Mexico City on Saturday night. They have booked Rey Mysterio on the Raw brand along with Seth Rollins, Dean Ambrose, and Drew McIntyre as the top stars advertised. The Raw crew heads to Bossier City, Louisiana on Sunday with Ronda Rousey advertised for that card. The SmackDown crew is in Arlington, Texas on Sunday. **The WWE has announced that Ronda Rousey and Natalya will take on Nia Jax and Tamina this Monday in Houston for Raw. **Former WWE creative team member Kevin Eck has announced he has taken a full-time position with Ring of Honor. Eck, who also wrote for the Baltimore Sun in the past, had been working on a part-time basis with the company prior to accepting this new position. *Tommy Dreamer vs. Brian Pillman Jr.
**MLW is set to announce the main event of their first of two WrestleMania Week cards. The plan is to announce the match next week. They will be running the Melrose Ballroom on April 4th and 5th next year. **Lance Storm’s latest Storm Wrestling Academy session wrapped today. This session of Storm’s featured Dominic Gutierrez, the son of Rey Mysterio. **Ring of Honor has announced that Zack Sabre Jr. will take on Tracy Williams at the final set of television tapings for the year on Saturday, December 15th at the 2300 Arena in Philadelphia. **Jun Akiyama is scheduled to have his first match in the United States next March. Pro Wrestling Revolution out of California has announced that Akiyama will be part of their March 9th card in San Francisco. He will also be part of the All Japan tryouts that Pro Wrestling Revolution will be hosting at their academy on March 7th alongside Ultimo Dragon and Tajiri. **Jay “Christian” Reso turns 45 years old today. **ESPN reported Friday that the long-awaited fight between Paul Daley and Michael “Venom” Page is expected to take place on February 16th from Uncasville, Connecticut as part of the Welterweight Grand Prix. The same site is also reporting that a heavyweight fight between former champion Vitaly Minakov and Cheick Kongo is scheduled for the same card at Mohegan Sun Arena. This card will also air live on 5Spike in the U.K and on DAZN. **It’s a packed weekend of mixed martial arts events with the UFC and Bellator hosting two events each, plus KSW and LFA have events this weekend. **The LFA 55 card is airing at 9 pm Eastern tonight on AXS TV will Miles Johns taking on Adrian Yanez for the vacant bantamweight title and Sarah Alpar vs. Joselyne Edwards to crown the promotion’s first women’s bantamweight champion. The card is taking place from The Bomb Factory in Dallas, Texas. **KSW is running a card from Poland on Saturday at 1 pm Eastern on DAZN from Arena Gliwice. The card is headlined by middleweights Mamed Khalidov and Tomasz Narkun. The card will also feature Mateusz Gamrot and Kleber Koike Erbst fighting for the vacant featherweight title.